UCEED 2019: Indian Institute of Technology has released the UCEED 2019 Important Dates for Registration, to check eligibility. Candidates can check out the online process to apply for UCEED 2019 here. UCEED 2019 Notification has been released and UCEED Application Process will start from 09-10-2018 till 09-11-2018. Only those applicants who satisfy eligibility norms can apply for Undergraduate Common Entrance Exam 2019. For admission in to UG programmes, you need to attend UCEED 2019 Exam. Undergraduate Common Entrance Exam for Design Examination will be held on 19-01-2018 at various centres given below. From home page follow “Alert” section and press on “UCEED 2019 Brochure” link. After pressing on above said link UCEED 2018 Information Brochure will appear. Read the entire details very carefully and match your eligibility norms with required. After that you need to visit home page of official website. Candidates should first register themselves online in order to apply for UCEED 2019. 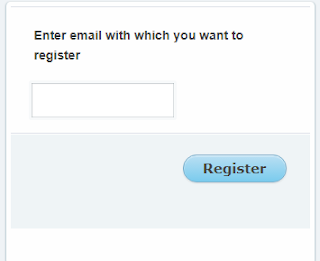 Press on “Online Registration Open” link that is available in Alert section in below menu bar. 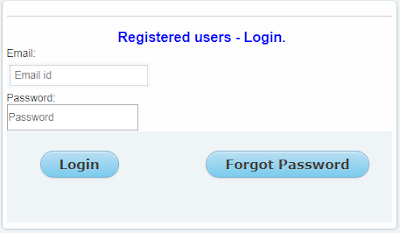 Now, already register candidates have to hit on “Login” tab. After this image as shown above will appear candidates need to enter their registered email id and password. When all details are filled hit on Login Tab. New users have to hit on Register tab and then image as shown below will appear. Fill the asked details in space provided and hit on register tab to get register yourself for UCEED 2019. Now, UCEED online form will appear, fill Online Application Form by entering their personal details. Upload photograph, signature, eligibility certificate and other important documents. Press on “Preview” button to verify the entire details. The list of essential documents is as follows. Have a look!!! The certificates should be self-attested. After filling all the required details in the application form you need to enter “Pay fee & submit” button. Candidates will be redirected to the payment gateway after pressing the link. Candidates can pay application fee by using debit card, credit card or internet banking. Candidates will receive a confirmation after the successful payment of the application fee. They are advised to keep a copy of the confirmation page for future reference. Now lastly candidates need to hit on submit tab when all process is done. Now you application process will be completed. You can take the hard copy of it as it may useful fir you in future. Indian as well as foreign nationals can apply for UCEED 2019. Applying aspirants must have passed the class 12th examination in 2018 or appearing in 2017 is eligible to apply. The qualifying examination can be passed/appearing in any stream (Science, Commerce, Arts & Humanities). Those who have passed/appearing the qualifying examination in 2017 or earlier are not eligible to apply. Candidate can take the UCEED examination for a maximum of two consecutive years. Candidates belonging from OPEN/ OBC-NCL category should have been born on or after 1 October, 1998 (1 October, 1993 for SC/ST/PwD category candidates). All the candidates must know that UCEED Exam Pattern 2019 consists of structure of the paper including subjects, exam duration, marks allotted, negative marking and type of questions. UCEED 2019 Exam Pattern will helps the participants in preparation before they appear for the exam. UCEED 2019 Exam will be held in online mode (CBT). Total 80 questions of maximum 300 marks will be asked by appliers. Questions in each section will be of different type. Ø Section A contains 20 questions of Numerical Answer Type (NAT). Ø Section B contains total 20 Multiple Select Questions (MSQ). Ø Section C contains 40 Multiple Choice Questions (MCQ). The paper will consist of 3 sections namely A, B and C.
UCEED 2018 Exam will be of 3 hours duration. For Section C, 3 marks will be given for each correct answer. In section C There is a negative marking of 1 mark only. UCEED 2019 Syllabus will consist of 6 topics which are as given below. All the applying candidates must create a study UCEED 2019 Timetable. Do more and more Practice from UCEED Previous Years Question Papers. You are required to take mock test. Good command in English is required. Candidate must know the use of tenses, verb patterns, articles, grammar, reading comprehension, etc. Candidates after submitting their UCEED Application Form will be eligible to download the UCEED 2019 Admit Card from 01-01-2019. UCEED 2019 Call Letter contains details like Name, Roll Number, photograph, signature, examination schedule & examination centre details. On 25-01-2019, UCEED 2019 Answer Key will be released by the authority. Candidates can match their answers with the official answer key to estimate their marks. Last date to submit comments about answer key will be on 31-01-2019. After the declaration of Answer Key, UCEED Result 2019 will be declare on 01-03-2019. So, Candidates can check their UCEED Result 2019 by entering their user login and password. Qualified candidates can download their score card at the time of declaration of result. UCEED 2019 Rank list will be prepared on the basis of marks obtained in UCEED 2019. In order to obtain more information about UCEED 2019, contenders may visit this Official Site. Check out other relevant information by staying connected with our web portal.